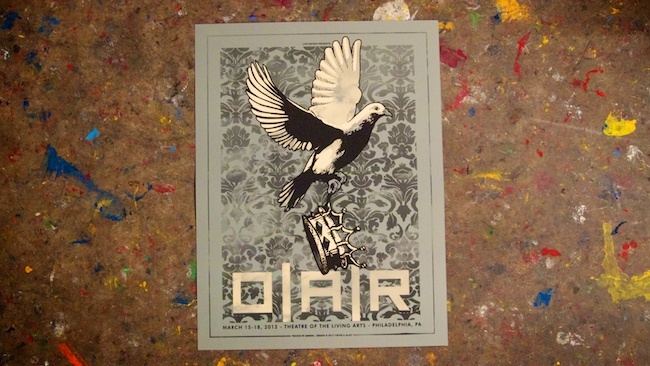 Check out this awesome 2-color print for OAR's three night stand at the Theater of the Living Arts! Live Nation was looking for a special commemorative print for their sold out shows so T&A and ABNRML stepped up to the plate. This design was screened with love on 19"X25" grey French Paper cover stock. The shows were from March 15th through the 18th. A handful of artist prints are available here through ABNRML.com. It was a very limited edition of 50 prints.